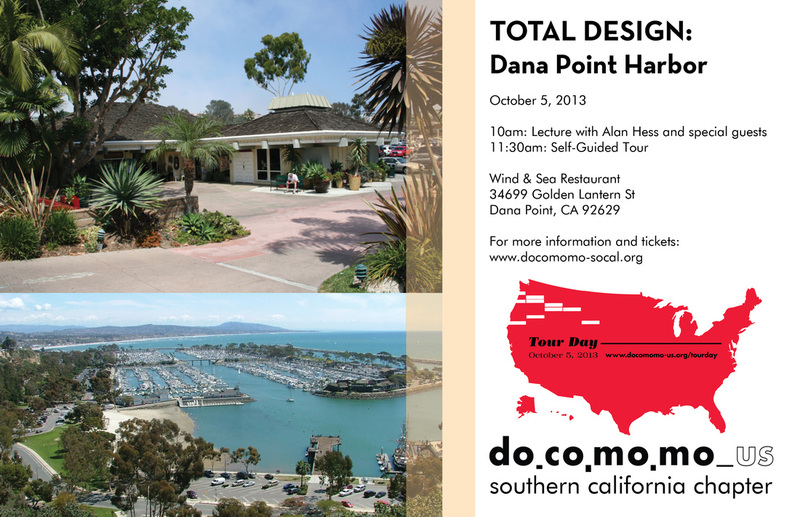 As part of Docomomo US 2017 Tour Day, please join Docomomo/SoCal on a walking tour of six houses in the Ranchos. We'll explore the architecture of Cliff May, get a taste of life in the Ranchos, and enjoy some local culinary delights along the way. Architect and artist Paffard Keating-Clay worked with many of the great masters of Modernism over his long career, but none more famous or influential than Frank Lloyd Wright, Le Corbusier, and Ludwig Mies van der Rohe. 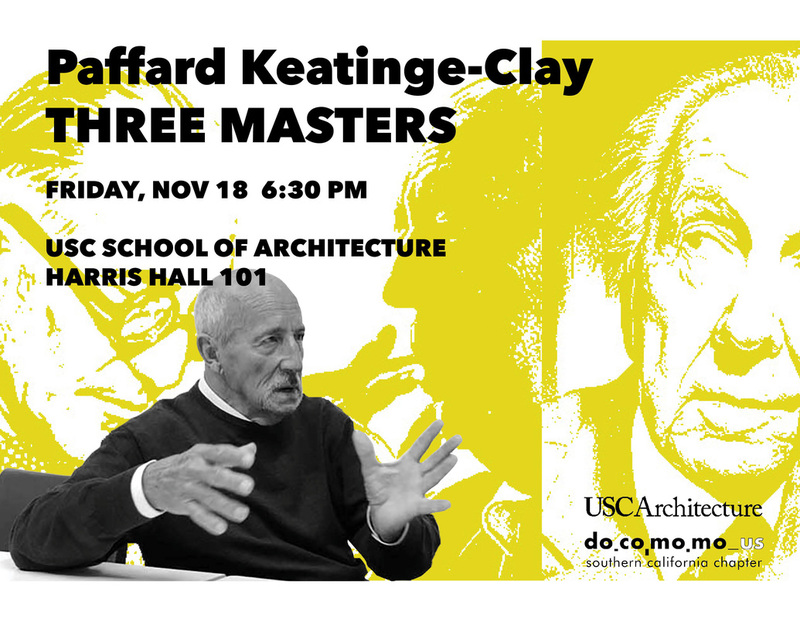 Currently teaching as a Dean's Distinguished Visitor at the USC School of Architecture, PKC will be talking about his adventures with these three Masters of Modernism - hope to see you there! 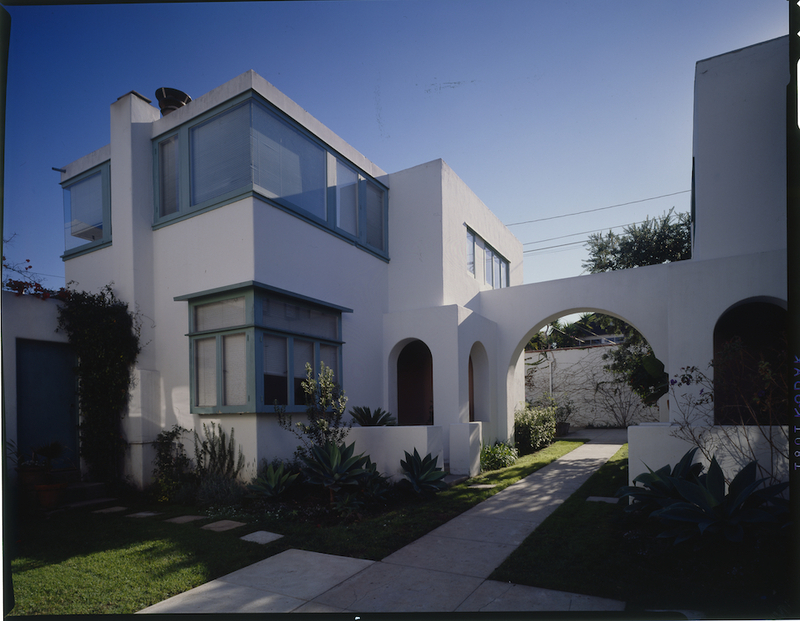 The Southern California Chapters of SAH and Docomomo US present "Irving Gill: Los Angeles." This home tour brings the UCSB exhibition "Irving Gill: Simplicity and Reform" to life, and offers glimpses inside three important Gill houses in the Los Angeles area: Horatio West Court (1919) in Santa Monica, the Chauncey and Marie Rankin Clarke Estate (1919-21) in Santa Fe Springs, and the White/Morgan Residence (1917) in Hollywood. Journey with us to Riverside, California to experience the work of local modernist Clint Marr. 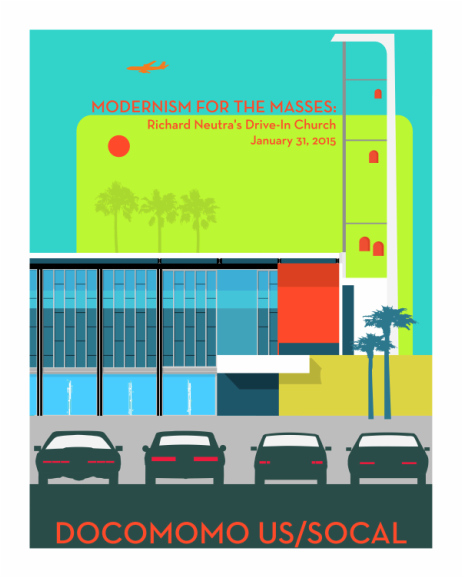 Hear more about his work and the rise of modernism in the Inland Empire in a lecture by Lauren Weiss Bricker, PhD, in the Wesley United Methodist Church, designed by Marr. Then join us for exclusive tours of two houses Marr designed for himself and his family, followed by a reception in his 1960 family home, one of Riverside's best examples of post-and-beam modernism. Join Docomomo US and Docomomo US/SoCal on Saturday, January 31st from 1:00-4:00 PM for a special afternoon tour, lecture, and reception at Christ Cathedral in Garden Grove, California. The focus of the event will be Richard Neutra's 1961 Arboretum and 1968 Tower of Hope, both recently and meticulously restored by the Roman Catholic Diocese of Orange.Restoration of the Arboretum won a Docomomo US Modernism in America Award Citation of Merit in 2014. Guests will have the opportunity to see the Arboretum as well as get an exclusive first look at Neutra’s Tower of Hope, the restoration of which was just completed in late 2014. The event will also include the opportunity to hear more about the Diocese’s plan for Philip Johnson's impossibly beautiful Crystal Cathedral (1980), which is currently under construction. The day’s speakers will include Barbara Lamprecht, author, architect, and historian, Daniel Paul, architectural historian, and Rob Neal member of the Architecture and Renovation Committee for Christ Cathedral. Tours of all three spaces will run concurrently and guests will enjoy a late afternoon wine and cheese reception with friends in Richard Meier's Welcoming Center (2003). Tickets for the lecture, tour, and reception are $25 for Docomomo US members and $30 for non-members. Limited quantities of the Michael Murphy designed poster and postcards will be available exclusively the day of the event. The first 25 people registered will receive a complementary postcard the day of the event. 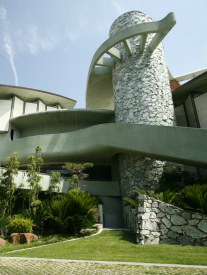 Architect Bruce Goff’s two Los Angeles projects – the Pavilion for Japanese Art at the Los Angeles County Museum of Art (LACMA) and the Al Struckus House – were two of his last; both were in progress at the time of his death in 1982. 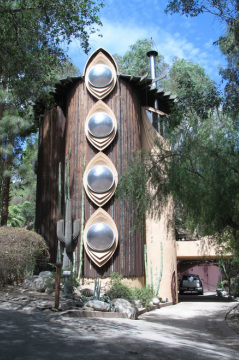 The two buildings were completed to widespread acclaim under the supervision of architect Bart Prince, Goff’s collaborator for nearly 15 years. In celebration of the 25th anniversary of the opening of the Pavilion for Japanese Art, Docomomo SoCal will offer an examination of the work of Bruce Goff and Bart Prince, who have been lauded as originators of the Organic style of architecture, a form that departs from conventional architectural styles to offer buildings that are entirely site- and client-specific. Goff’s career included some 500 works (about of quarter of which were built) over 60 years. Prince, who collaborated with Goff between 1968 and 1982, has been called one of the most creative architects working in America today. In a lecture at LACMA on Sunday, October 12, 2014, Bart Prince will discuss his own work, his collaboration with Bruce Goff, and the design of the Pavilion for Japanese Art. 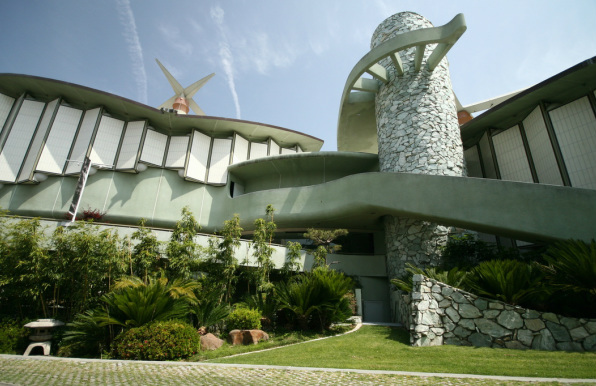 On Saturday, October 18, 2014, Docomomo SoCal will host a reception at the Al Struckus House, at which the current owners will share their experience living in one of Los Angeles’ most idiosyncratic architectural masterpieces. 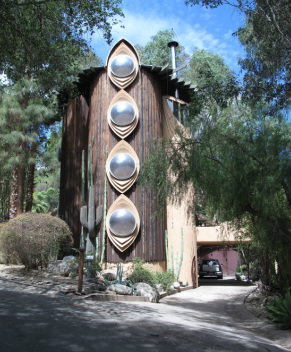 Don't miss this rare opportunity to visit Bruce Goff's only Los Angeles residential project, the Al Struckus House. Designed by Goff in 1982 and completed by Bart Prince alongside Al Struckus himself, this Woodland Hills residence has been meticulously maintained by its current owners exactly as constructed. Enjoy a glass of wine and light hors d'oeuvres and watch as the setting sun transforms one of Los Angeles' most unusual and magical houses. particular the city hall tower, was innovative for its time. Current plans to redevelop the civic center are forcing a reexamination of the existing buildings and discussions about preservation of the recent past. 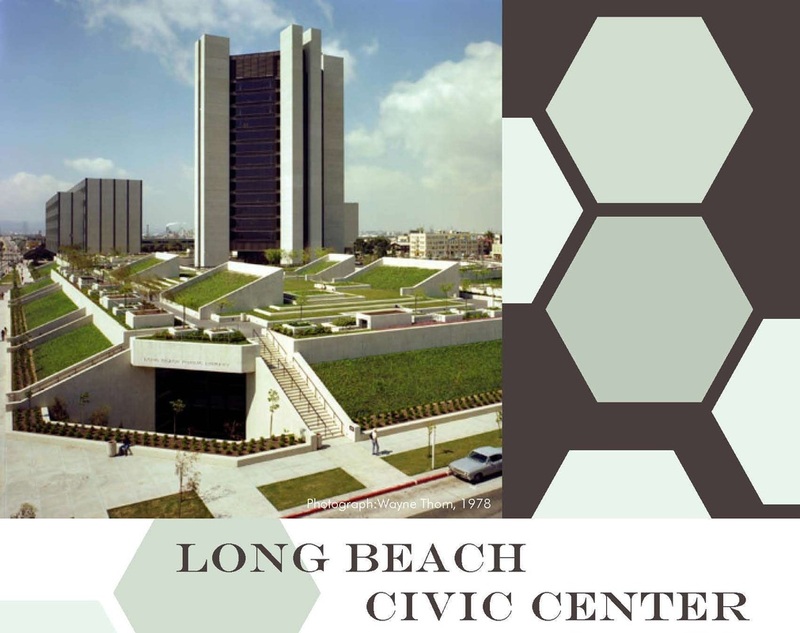 Architects and explore these important examples of Late Modernism in Long Beach. Download the self guided tour brochure below.